You are here: Neurological Imaging/Jeffrey M. Pugsley, M.D. Jeffrey M. Pugsley, M.D. received his undergraduate degree from Colgate University in Hamilton, NY. He completed medical school at George Washington University School of Medicine and Health Sciences in Washington, DC. His Transitional Internship was served at Virginia Mason Medical Center in Seattle, WA, while his Residency in Diagnostic Radiology was completed at the University of Washington Medical Center,Seattle. 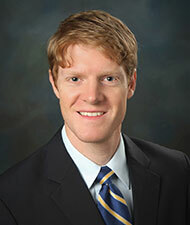 Additionally, Dr. Pugsley attained his Fellowship in Neuroradiology at the University of Washington. His previous professional experience includes positions with Advanced Medical Imaging and Seattle Radiologists/Swedish Hospital in the Seattle area. Dr. Pugsley has received numerous honors, awards and has been cited in various publications including the Journal of Thoracic and Cardiovascular Surgery as well as Cancer Journal and Clinical Cancer Research. In his spare time, Dr. Pugsley enjoys cycling, fishing, skiing, and travel.